The Spanish league has taken legal action against the country’s soccer federation in an effort to get approval for a regular-season match in the United States. 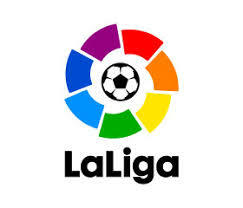 A Madrid commercial court says the league filed a lawsuit accusing the Spanish soccer federation of unfair competition. The court says a decision is expected in two weeks, in time for the planned January match between Barcelona and Girona near Miami. The league has confirmed it brought the matter to court but did not provide further details about the legal action. It says it is expecting a decision in the coming days. Girona have previously stated on record they are happy to give up home advantage for the clash with the Spanish champions set to take place in the Hard Rock Stadium in Miami. ‘The club confirms that it has received this proposal from La Liga and is working in this line together with La Liga and Barca,’ Girona said in a September statement. ‘The club has accepted the proposal understanding that it is a great possibility of expansion and growth, not only for Girona, but also for our city and our territory. ‘A little over three years ago, the club fought against disappearing entirely and now our goal is to consolidate ourselves in La Liga.